The selection of a good sunblock is important to optimize the protection of the skin from the dangers of the sun. Basically, the use of sunblock is intended to reflect or absorb ultraviolet light. Many conclude that good sunblock depends on how much SPF is in it, even though the SPF content is only one of many other considerations. What is more advisable to do is to use sunblock regularly. In general, sunscreen products are divided into chemical and physical, categories based on the nature of their work. Chemical sunscreens work by absorbing sunlight radiation. In contrast, sunscreen that is physical is capable of reflecting ultraviolet light so it does not damage skin cells. Wearing sunblock or sunscreen regularly should be done by those who live or are active in areas that are rich in sun exposure. The indication for such conditions can be seen from how dark the skin of people who live in that area. Darkening of the skin is the body's natural effort to prevent cell damage which leads to the possibility of the growth of skin cancer. Basically, a good sunblock or sunblock product must have effectiveness in blocking ultraviolet A and ultraviolet B rays at once. This product also usually contains oil as a waterproof material. In order for a sunblock product to be more effective, some of the substances below are also used. A good sunblock must-have ingredients that can block UVA light. One of these ingredients is ecamsule which in Europe and Canada is commonly known as Mexoryl SX. The ingredients for a good sunblock should be stable when sunlight hits it. If not, the effectiveness of protecting the skin is questionable. One of the ingredients included in this category is avobenzone. Some sunscreen products on the market contain stabilized avobenzone. 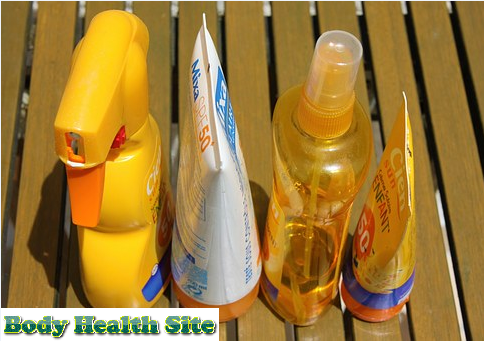 Materials that are widely used in sunblock products are titanium dioxide or zinc oxide. Both are ingredients that have long been used as constituents of sunblock. In previous sunblock products, the use of these two substances tends to make the skin look pale. But the leather protection industry has now managed to overcome these shortcomings. Another advantage of titanium oxide or zinc oxide is the ability of both to reflect ultraviolet light that hits the skin. Both of these ingredients are proven safe and effective for the skin in preventing the negative effects of sunlight. A good sunblock should also contain effective ingredients to protect the skin from exposure to ultraviolet B (UVB) light. The ingredients usually contained by sunblock for this purpose are octinoxate, octisalate, and homosalate. Other ingredients that can be used to protect the skin from ultraviolet B rays are aminobenzoic acid or PABA. Although it is a material that has long been used in this industry, some people may not be suitable for this material. It is recommended to test a drop of sunblock containing PABA and leave for a few minutes to ensure a level of security for the skin. To get optimal skin protection, you should avoid using products that contain fruit or nut extract. In addition, there is no clinical evidence regarding the effectiveness of this kind of extract in blocking sunlight, consumers are also faced with the risk of experiencing allergies. The level of sensitivity of the skin of babies and children is different from that of adults. It is feared that their skin is not suitable if applied to a sunscreen dedicated to adults. But fortunately, titanium dioxide and zinc oxide do not easily irritate children's skin. Just like in adult skin, these two ingredients can resist ultraviolet light and are not absorbed by the skin. 0 Response to "Criteria for Good Sunblock Support Materials"